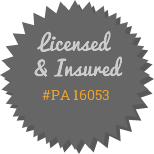 Saylor's Plumbing offers affordable plumbing services for residential and commercial customers throughout Lancaster County, PA and the surrounding area. In business since 1998, Joe Saylor has earned a reputation for honest, dependable service and has many repeat customers. Joe wanted to improve his website in order to attract additional customers throughout the area. EZSolution Corp. provided the website development for this new website, updating the outdated design that contained very little information about Saylor's Plumbing's services. The new site offers a fresh new look with more sophisticated graphics and larger pictures to attract interest. EZSolution also added new content to the website to give customers more information about their services. Calls to action were also added, directing visitors to a service request form, for faster service. Should you experience any problems while visiting this website, please contact EZSolution to report the issue. Questions about plumbing service for residential or commercial customers should be directed to Joe Saylor at 717-419-4984.